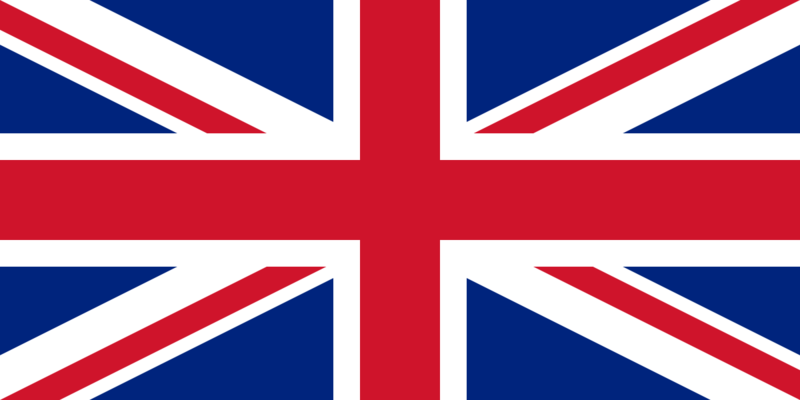 Multiple guidelines recommend the use of a heel protection device that completely offloads the heel to help prevent the development of heel pressure ulcers. 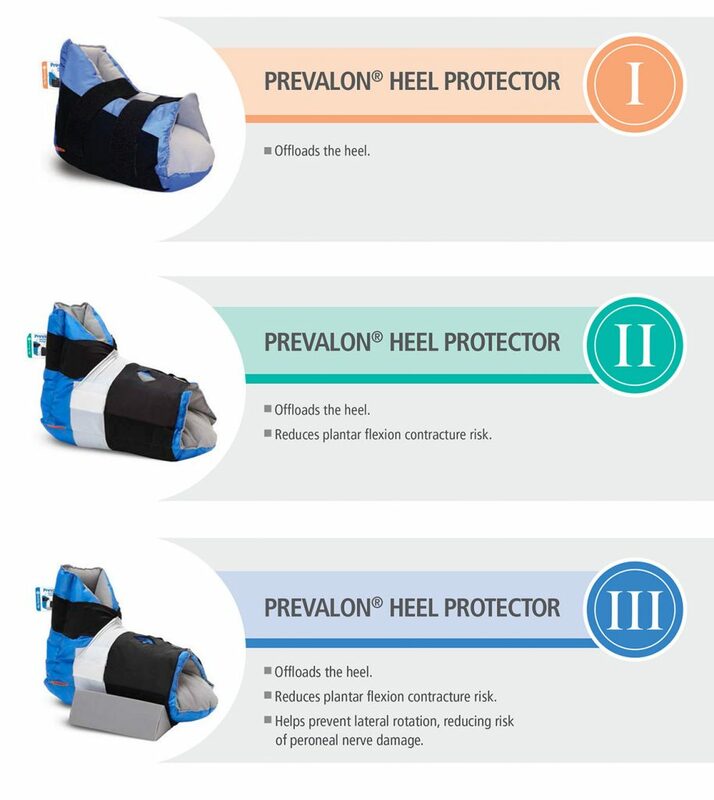 Prevalon® Heel Protectors are the number one brand of heel protection. They offer continuous heel offloading to protect your patients’ heels. Experts suggest the optimal heel protector should go beyond offloading the heel. In order to effectively protect the foot and lower limb, a heel protector should prevent foot drop and use an anti-rotation wedge to keep the foot in a neutral position to protect the peroneal nerve. 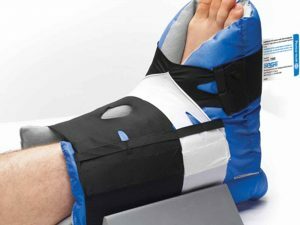 Prevalon® Heel Protectors are available with a contracture strap to help prevent the foot from dropping and an anti-rotation wedge to keep the limb from externally rotating. They also feature a unique dermasuede interior designed to gently grip the limb so it remains fully offloaded, even when the patient moves. 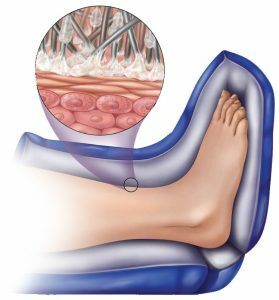 A study published in JWOCN demonstrated a 100% prevention of both heel pressure ulcers and plantar flexion contracture over a seven month period when using Prevalon® Heel Protectors. The Prevalon Heel Protector was specifically designed to address the problem of patient movement and its negative effect on heel offloading. Prevalon’s unique dermasuede fabric interior gently grips the limb so it remains fully offloaded, even when the patient is moving. Our specialized fabric and coating creates maximum grip control with the texture of fine velvet. 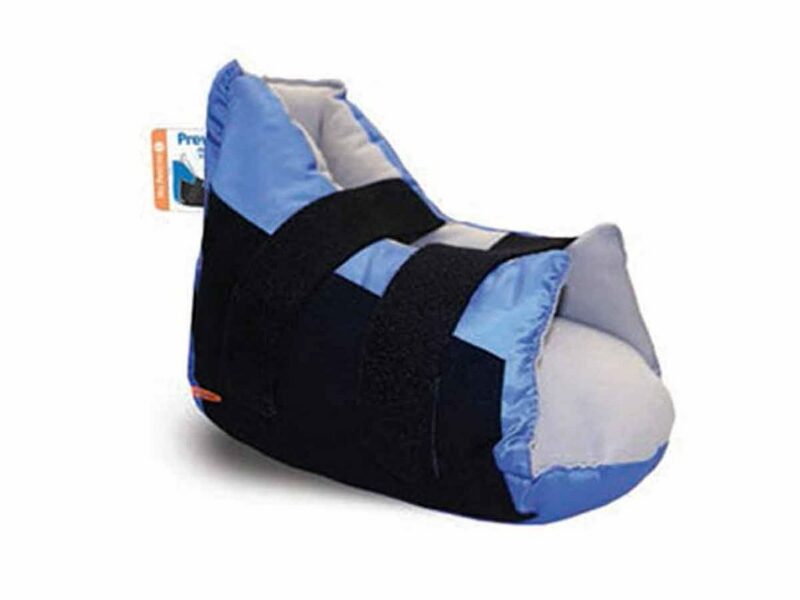 This soft fabric contours to and cradles the leg, calf, ankle and foot to help prevent them from rotating within the boot or sliding out of the boot—maintaining effective heel offloading. Dermasuede fabric holds the limb securely in place while preserving patient comfort. It’s also a breathable material, so the limb remains cool while inside the heel protector.